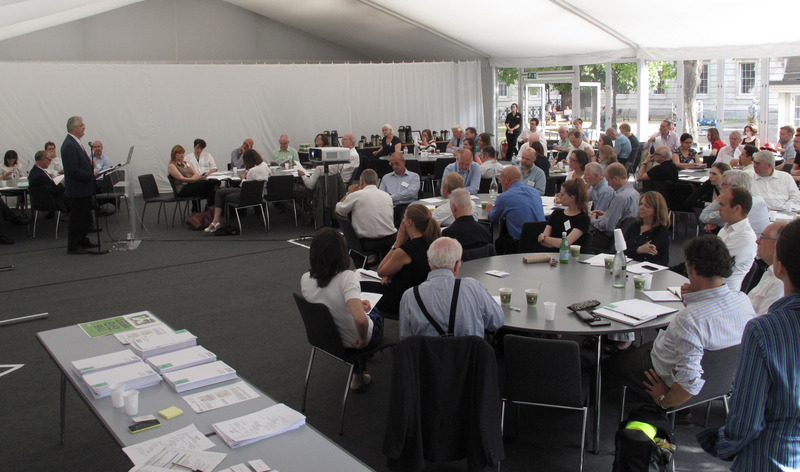 Last week two major events took place in the UK which brought together built environment professionals around the country to discuss the next steps for implementing the Farrell Review. 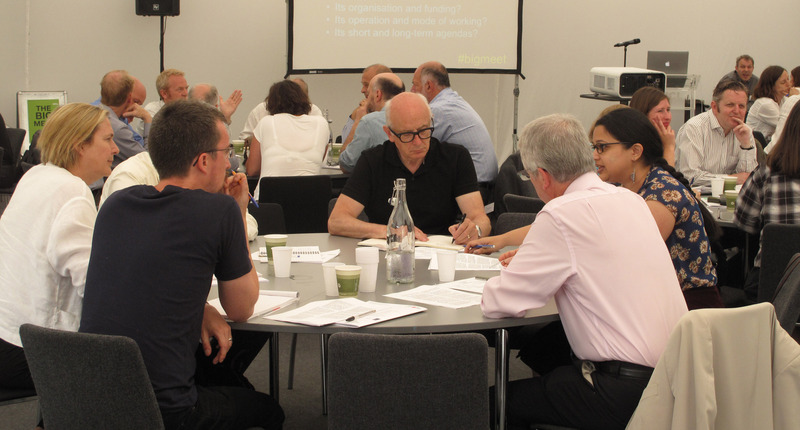 The first was organised by University College London (UCL) and brought together 106 leading figures from 77 different organisations to discuss specific recommendations from the Farrell Review relating to PLACE leadership at a national level. In response to these recommendations, and based on research carried out at The Bartlett UCL, Professor Matthew Carmona has developed further thinking around the creation of a PLACE Alliance and Place Council for England that would advise and help co-ordinate policies and programmes across government in order to support the delivery of better places. 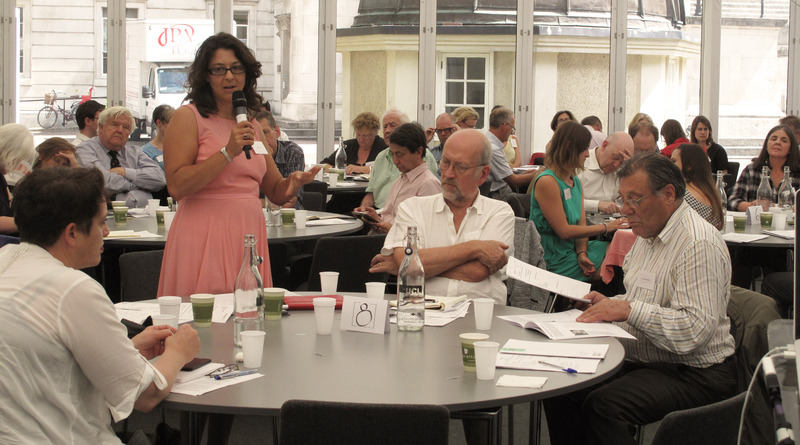 From this work, Professor Carmona developed a discussion paper ‘National place leadership – three steps to filling the gap in England’, which served as a starting point for the conversation at the Big Meet. Guests were welcomed by Dean of The Bartlett, Professor Alan Penn, followed by introductions from Sir Terry Farrell and Professor Matthew Carmona. Over the course of the morning groups were asked to discuss the two main topics – firstly, the formation of a Place Alliance, a representative body that can work together to promote the design agenda and seek to influence Government; and secondly the establishment of an independent PLACE Council for England. The floor was then opened up to all guests for a general discussion on how to move forward with the Farrell Review. There was widespread consensus around the need for industry to come together to form a PLACE Alliance consider what further place leadership structures might be required. As a result Professor Carmona has drawn up a manifesto for this Place Alliance, for delegates from the Big Meet to deliberate. In a second major event taking place last week, the Baltic Centre for Contemporary Art in Newcastle hosted the ‘North East conversation about the Farrell Review’ to continue the regional conversation about the Review and how its recommendations can help deliver quality places. Jointly run by Northern Architecture, Urban Design Group and Faulkner Browns Architects, the event was joined by Helen Goodman, Shadow Minister for Culture, Media and Sport, and the conversations and conclusions will be documented in a commentary published by the Urban Design Group. Front row L-R: Flo Marshall (Sustrans), Lucy Natarajan (UCL), David Bonnett (Centre for Accessible Environments), Helen Carter (Centre for Accessible Environments), Robert Huxford (Urban Design Group), Rachel Fisher (National Housing Federation), Sue James (Trees and Design Action Group), Kevin Murray (Academy of Urbanism). Second row L-R: Louise Ingledow (Urban Design Group), Paul Lincoln (Landscape Institute), Charlotte Myhrum (Places Matter), Anna Scott-Marshall (RIBA), Esther Kurland (Urban Design London), Hank Dittmar (The Prince’s Foundation for Building Community), Matthew Carmona (UCL), Peter Dawson (Place Services), Robert Mull (Architecture Foundation). 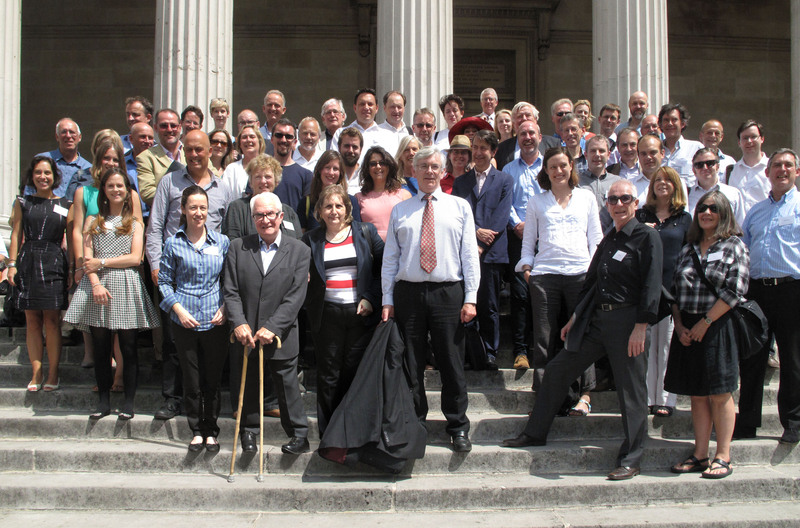 Third row L-R: Valentina Giordano (Farrells), Clare Devine (Cabe at the Design Council), John Mathers (Design Council), Angela Godrich (Notting Hill Housing), Rosslyn Stewart (RTPI), Tom Bolton (Centre for Cities), Steve Bee (Academy of Urbanism), Charlie Peel, Victoria Thornton (Open City), Katy Neaves (Urban Design Group), Patricia Gomez (Birmingham City Council), Max Farrell (Farrells), Rob Cowan (Urban Design Skills), Charles Wagner (English Heritage), Peter Studdert (Cambridgeshire Quality Panel), Noel Isherwood (University of South Wales), Simon Leask (Homes and Communities Agency), Andrew Crudgington (The Institution of Civil Engineers). Back row L-R: David McDonald (Institute of Historic Building Conservation), Noel Farrer (Landscape Institute), Julian Hart (Transport for London), Julia Thrift (TCPA), Dave Proudlove (Urban Vision), John Punter (Cardiff University), Terry Brown (Association of Consultant Architects), Gareth Tancred (British Institute of Facilities Management), Robin Nicholson (Cambridgeshire Quality Panel), David Tittle (Civic Voice), Sophia de Sousa (The Glass-House Community Led Design), Sue Percy (Chartered Institute of Highways and Transport), Roger Begy (Local Government Association), Rosalie Callway (Campaign to Protect Rural England), Simon Foxell (The Edge).